Courtesy of Darlene D Gontz, Coldwell Banker Residential Brokerage Chambersburg. Some fresh paint and new flooring to personalize will make this your home. Easy living, all one floor, just on edge of town. 3-4 miles to everything. Formal living room or dining room in front, open kitchen family room in back. Patio in back with landscaped lawn. 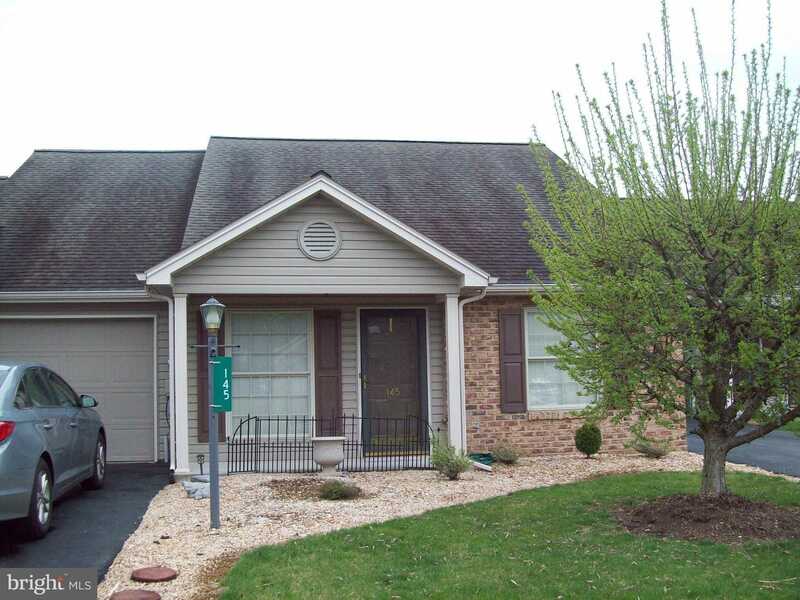 Please, send me more information on this property: MLS# PAFL164730 – $135,000 – 145 Sequoia Court, Chambersburg, PA 17201. I would like to schedule a private showing for this property: MLS# PAFL164730 – $135,000 – 145 Sequoia Court, Chambersburg, PA 17201.